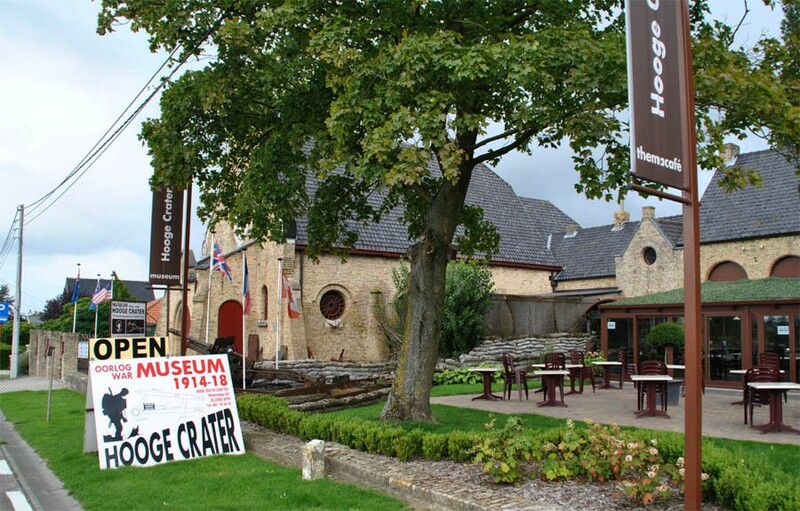 The Hooge Crater Museum 1914-18 is one of the very interesting World War I museum located just outside Ypres - one of the towns that saw a lot of fighting during World War I. 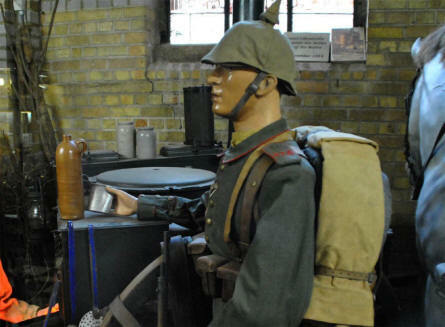 The museum displays a lot of both German and Allied uniforms and hand weapons. The museum also include a full-size replica of a German Fokker Dr. 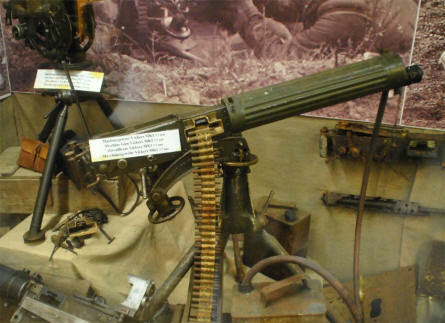 I triplane fighter from World War I. 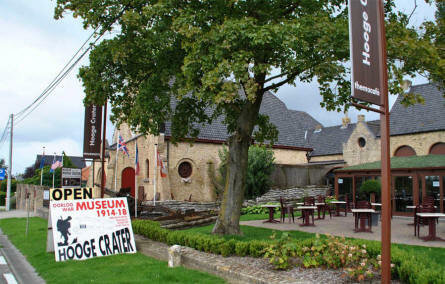 The Hooge Crater Museum 1914-18 seen from the road just outside the museum. 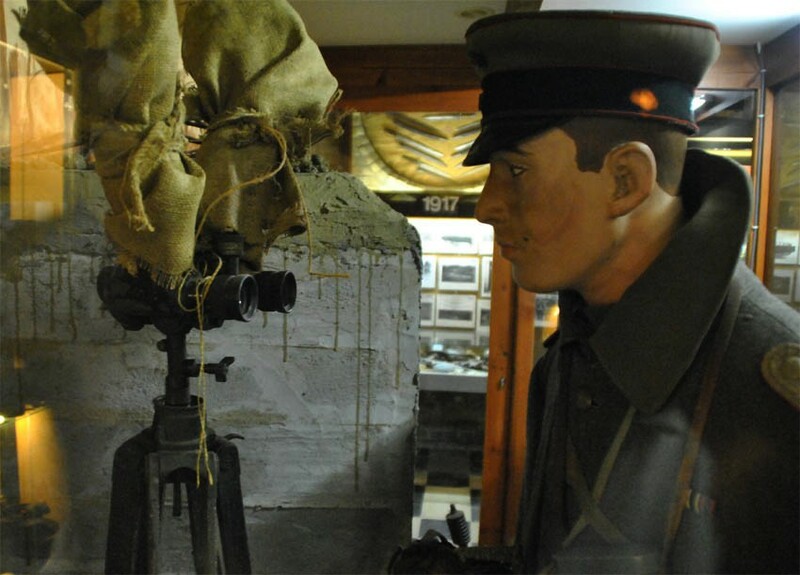 A German World War I soldier displayed at the Hooge Crater Museum 1914-18 in Ypres. 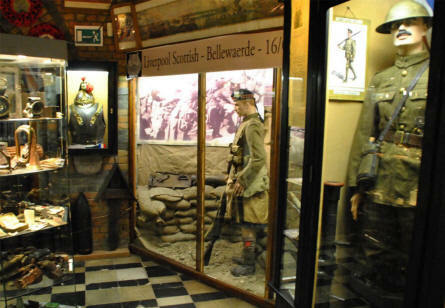 British World War I soldiers displayed at the Hooge Crater Museum 1914-18 in Ypres. 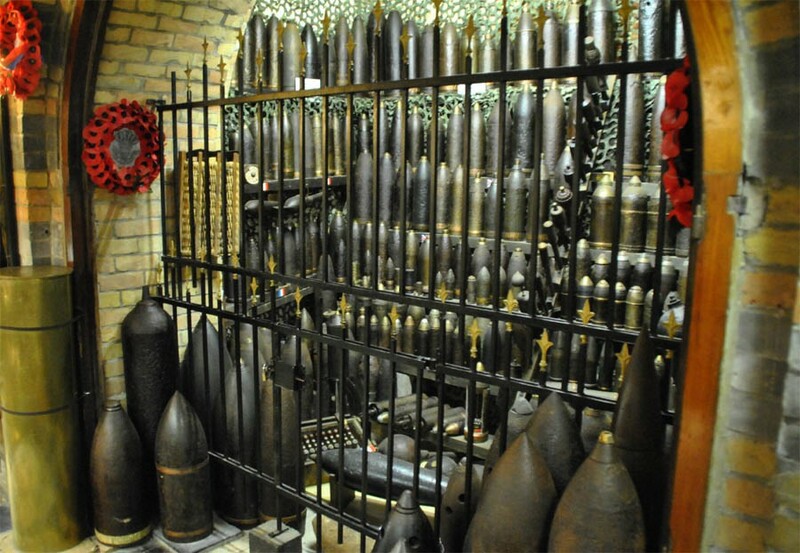 British World War I weapons displayed at the Hooge Crater Museum 1914-18 in Ypres. 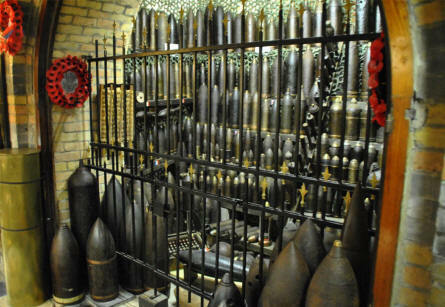 A huge collection of all types and sizes of World War I grenades displayed at the Hooge Crater Museum 1914-18 in Ypres.